I saw a photo of a person a follow on Instagram in these swimsuits and thought is Rue107 offering plus sizes? 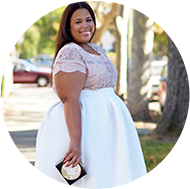 I've been involved in my own life, but then a reader sent me the link to the Stylish Curves blog on these pieces. I thought, I've got to blog, I've been waiting for Rue107 to extend their sizes. I know a lot of plus girls that could work their XL have been, because I've seen the photos over Tumblr. Brava to Rue107. I've been looking at their pieces for over a year now and they are absolutely the perfect party girl pieces. On top of everything, there are fatkinis galore...LOL. Sizes go up to a 3X and prices are generally all under $100. One of those fatkinis have my name all over it. Happy Shopping! they have amazing things! i really love their fatkinis but i would certainly need straps for the tops!!! la premiere robe,la jaune elle frappe vraiment,j adore ! Love the diamond print dress, and geometric skirt, hot! I was SO excited when I saw this on Instagram....I can not WAIT to make my first purchase, OMG! Inspired!! I brought the geometric black and white dress featured above (the fifi dress) just then!! eeek! My first bold plus-sized purchase!! I also got the black peacock dress from them too... fun times ahead!